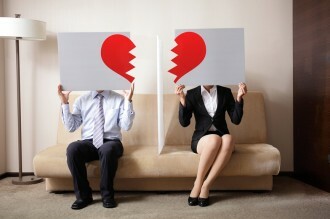 Picking up from where What You Should Know about Spousal Support in Colorado Divorce (Pt. 1) left off, here are some more important facts to know about alimony in divorce. Fact 3 – While fault is not a factor for considering the amount of spousal support in Colorado divorce, there are various other factors considered. With spousal support in Colorado divorce, fault is not considered, but the financial standing of each person in the divorce will be. Contact us for more info. This is an important fact to be aware of, as it may counter some people’s assumptions about spousal support in Colorado divorce. Because Colorado is a “no fault” divorce state, fault will NOT be considered when resolving any legal issues of the divorce case. In other words, whether one spouse may have had extramarital affairs or otherwise may have been at fault for the divorce will be irrelevant when it comes to determinations regarding spousal support in Colorado divorce. The current and future earning capacity of the individual who is requesting spousal support. Fact 4 – Spousal support in Colorado divorce does NOT last forever. Even “permanent” spousal support (when it is awarded as part of a marital settlement in divorce cases) does not last forever. In fact, the terms of a marital settlement will stipulate when these payments will stop, such as when one spouse remarries or after a certain amount of time has passed. The point here is that both the payers of spousal support and the recipients of these payments need to be aware of the duration of these payments and what factors will result in the termination of these payments. Don’t miss the upcoming conclusion to this blog series for some final important facts to know about spousal support in Colorado divorce. Will spousal support be an issue in your impending divorce? Or do you need help making a modification to spousal support awarded in your finalized divorce? If so, you can turn to the trusted Littleton divorce lawyers at Barh & Kreidle. Since 1983, our attorneys have been dedicated to standing up for our clients and helping them successfully resolve their divorce cases. To get more information about your best options for moving forward with your case, set up a free, no obligations initial consultation with us today. To set up a meeting, call us at (303) 794-7422, or email us using the form on this page.